To enter, enroll as a student by July 7th. All entries must be submitted no later than July 25th, 2012. Be eligible to win a place in Dubspot’s 6-level Ableton Producer Program offered through our online school (along with a free copy of the Live 8 Suite software) by enrolling in the course and scoring 100% on each of the brief quizzes contained in the modules. Thavius Beck announces Dubspot + Ableton 30 | 30! 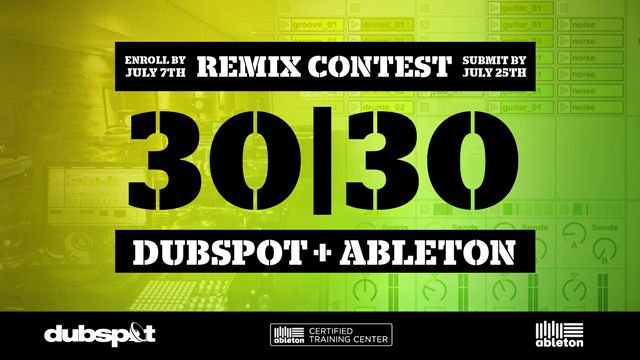 ELIGIBILITY: 30 | 30 Remix Contest is operated and hosted by Dubspot, Inc. on Dubspot’s website (www.dubspot.com). The contest is open to individuals who are at least the age of majority in their state, province and/or country of residence or older at the time of entry and who are not presently signed to any record label or publisher under any exclusive agreements and/or other contractual arrangements which prohibit or might prohibit them from participating in any element of this contest. VOID WHERE PROHIBITED BY LAW OR OTHERWISE. All remixes must be in the following file formats: MP3, AIFF, WAV. The use of un-cleared samples will be disqualified. An un-cleared sample is a musical work, loop or sample that is copyrighted. Participants are free to use royalty-free loops, the song stems, samples, and/or sounds the participant has originally created. All rights of the producer and the owner of the recorded work are reserved. Unauthorized copying, hiring, renting, public performance and broadcasting of this record, remix, or remix parts are prohibited. Entrants shall not use the stems in any manner or for any purpose other than for entering contest. Entrants acknowledge that Dubspot has no obligation to use or post any remixes. By submitting a remix, entrants warrant and represent that: (a) the remix is entrant’s original work, (b) the remix has not been previously published, (c) the remix has not previously received awards, (d) the remix does not infringe upon the copyrights, trademarks, rights of privacy, publicity or other intellectual property or other rights of any person or entity; (e) Entrant has obtained permission from any person whose name or voice or performance is used in the remix; and (f) exploitation, use, display or performance of the remix via any form of media, will not infringe the rights of any third parties. Entrants shall indemnify and hold harmless, Dubspot and contest affiliates from any claims contrary to or in violation of these warranties and representations. The artist and its designated appointees will select the winner and may, in their sole discretion, include the winner’s submission on an artist album and shall have no obligations, financial or otherwise, to the winners, except for those explicitly set forth in these official rules. Entrants give Dubspot the right to transmit the winner’s personal identifying information to the artist or to other contest parties for the purposes of facilitating the award of the contest prizes. By entering this contest, each entrant agrees: (i) that Dubspot has the right to use the entrant’s remixes and entrant’s name and likeness in any and all media in connection with promotion, publicity, marketing and advertising for and by contest parties, and in connection with this contest or other promotions by Dubspot as Dubspot sees fit, without any further notification or compensation to or of the entrant; (ii) that Dubspot shall have no obligation (express or implied) to use any remixes in any manner and entrants shall not be entitled to any damages or other relief by reason of Dubspot’s use or non-use of remixes; (iii) to be bound by these official rules; (iv) that entrants may be contacted by Dubspot via email regarding this contest; (v) to indemnify and hold Dubspot harmless from any and all claims, demands, causes of action and judgments (including attorney’s fees, court costs and expert’s fees) arising out of or relating to any breach by entrant of the terms and conditions of these rules, including any representations and warranties made herein. By entering this contest, each entrant agrees to sign and deliver to contest parties such documents as Dubspot may reasonably require to effectuate the rights and obligations granted in these rules. GENERAL TERMS: If the winner or runner-up cannot be contacted within five (5) calendar days of first notification attempt; or if a winner rejects its prize; or in the event of noncompliance by a winner or runner-up with these rules; in addition, an alternative entrant may be selected as determined by the Dubspot and the contest parties from all remaining eligible entrants to replace the disqualified winner. If a prize, or any portion thereof, cannot be awarded for any reason, such prize will be forfeited. By participating in the contest, entrants release Dubspot and contest parties from any and all claims, damages or liabilities arising from or relating to such entrant’s participation in the contest, and agree to resolve any dispute individually, without resort to any class action. If for any reason the contest is not capable of running as planned, including infection by computer virus, bugs, tampering, unauthorized intervention, fraud, technical failures, or any other causes which corrupt or affect the administration, security, fairness, integrity or proper conduct of the contest, Dubspot reserves the right, in its sole discretion, to cancel, modify or terminate the contest. This contest is governed by the laws of the state of New York, U.S.A. By entering, entrants consent to the jurisdiction and venue of the federal, state and local courts located in New York, New York, U.S.A. for the resolution of any disputes. LIMITATIONS OF LIABILITY AND RELEASE: Dubspot, the artist, or contest affiliates assumes no liability or responsibility resulting from entrants’ participation in or attempt to participate in the contest or downloading any information in connection with participating in the contest. No responsibility or liability is assumed by the Dubspot, the artist, or contest affiliates for technical problems or technical malfunction which may affect the operation of the contest, including but not limited to: hardware or software errors; faulty computer, telephone, cable, satellite, network, electronic, wireless or Internet connectivity or other online communication problems; errors or limitations of any Internet service providers, servers, hosts or providers; garbled, jumbled or faulty data transmissions; failure of any e-mail transmissions to be sent to or received; lost, late, delayed or intercepted e-mail transmissions; inaccessibility of the website, in whole or in part for any reason; traffic congestions on the Internet or the website; unauthorized human or non-human intervention of the operation of the contest, including without limitation, unauthorized tampering, hacking, theft, virus, bugs, worms; or destruction of any aspect of the contest, or loss, miscount, misdirection, inaccessibility or unavailability of an account used in connection with the contest. Dubspot, the artist, or contest affiliates are not responsible for any typographical errors in the announcement of prizes or these rules, or any inaccurate or incorrect data contained on the website. Use of the website is at entrant’s own risk. Dubspot, the artist, or contest affiliates are not responsible for any personal injury to entrant or property damage or losses of any kind which may be sustained to entrant’s or any other person’s computer equipment resulting from participation in the contest, use of the website or the download of any information from the website. Dubspot, the artist, or contest affiliates are not responsible for any attempt by an entrant or other individual to deliberately damage or undermine the legitimate operation of this contest, including but not limited to any fraudulent claims, which may be a violation of criminal and civil laws. Should such an attempt be made, Dubspot reserves the right to seek remedies and damages from any such individual, to the fullest extent permitted by law, including criminal prosecution. Dubspot’s failure to enforce any term of these contest rules shall not constitute a waiver of that provision. The flagship of our music training program is custom-tailored to fit your musical style. After completing our Ableton Live program, you will leave with 4 completed tracks (EP), a remix entered in an active contest, a scored commercial to widen your scope, and the Dubspot Producer’s Certificate in Ableton Live. From the studio to the stage, Ableton Live is used to create, record, produce, and perform music. 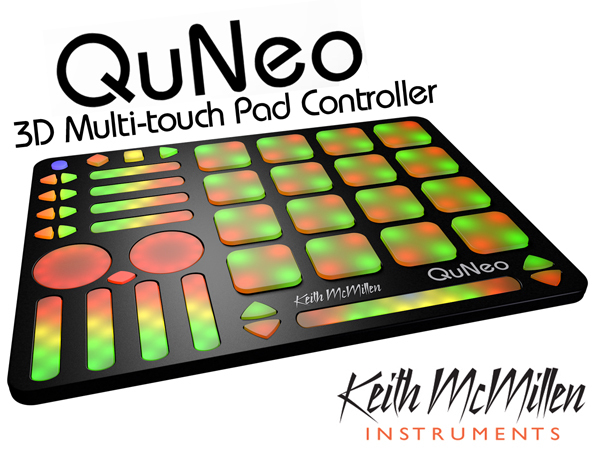 Learn about linear and improvisational styles of producing electronic music as we help you master the software’s innovative interface. Our curriculum guides you through the artistic journey of discovering your sound and developing it into a unique body of work. Learn valuable techniques as you complete this program with a multi-track EP.